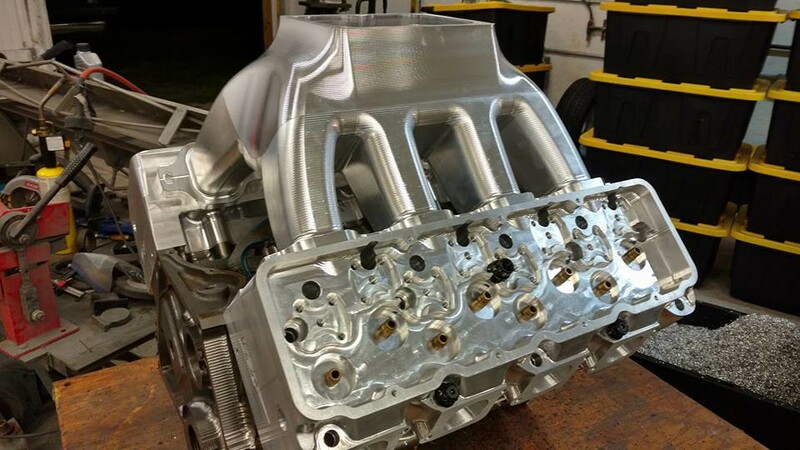 BBF Billet intake I designed and Marcella CNC machined. I'm pretty sure that thing is worth more than my engine. Maybe my whole car. Just a thought, if the manifold isn't cut yet, maybe the customer may want some water injection bungs too. It would be a shame to have to weld on that manifold after its done. Me neither. I'm guessing because we both refused to pay the new photobucket fees? crap ... maybe that isn't working. They are saved in my Google photos account. Some can see them but maybe you need a google photos account to see them..... need another plan I guess. Okay I tried another hosting site seems to work??? I can see the original photos but the quoted photos don't show. 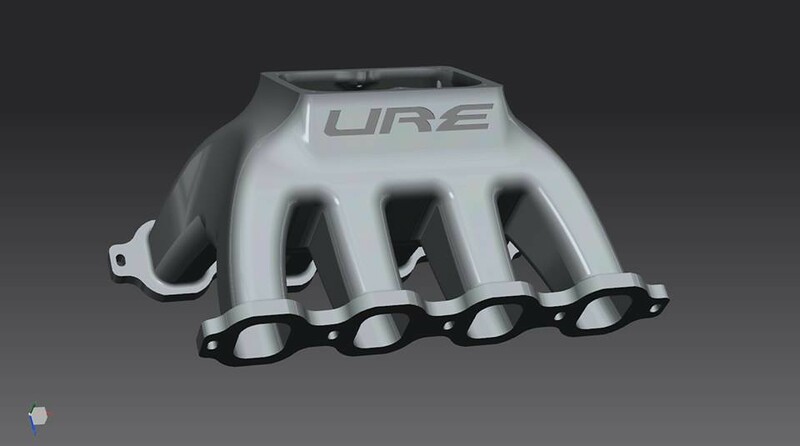 Oh by the way that manifold is very nice great job by you and John. Last edited by JakesPorting; 10-12-2017 at 10:27 AM. You must have 3 miles of filler rod in that intake! I know enough to know that I don't know enough. there is nothing in an LS that will support more hp per CID than a Gen 1... absolutely zero. 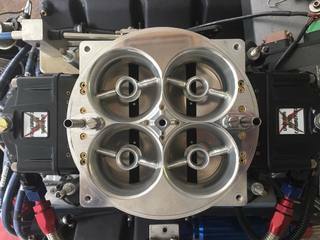 Pro-Filer SBC manifold are ready to roll. Cost is the same as a BBC. I have a few dyno tests lined out for some data. Looks decent but at the price of bbc manifolds it’s price point is too high in the Sbc market. Will you be testing against other manifolds? Here is the latest components available from Mike Laws and Trevor Wiggins at Get'm Garage. This is considered a 1600, a 1400 with a smaller venturi is also available. 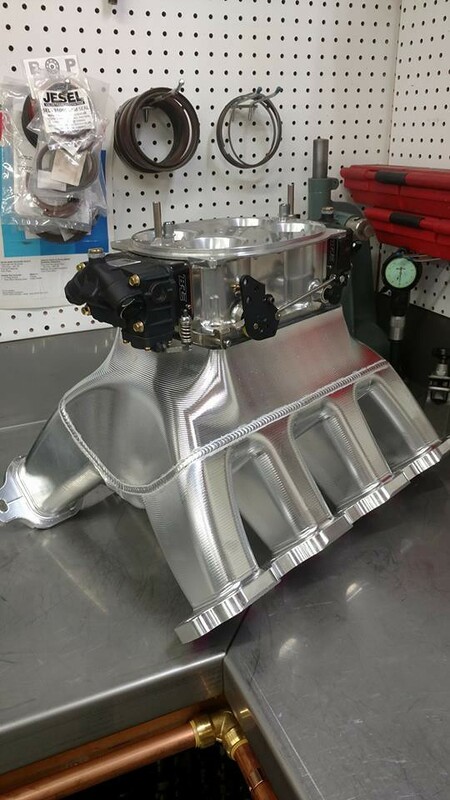 This is larger than the original Little Bo and Mini Bo that is now available as 1000 and 1200 versions, and various booster configurations of boosters are available to change the size of the carbs. All the components have been updated, the large versions have stainless throttle shafts and throttle arms for corrosion resistance, stainless for the smaller versions will be available soon. This is one I assembled. Also new is a billet 2 piece float bowl and a brand new metering block design. Testing shows with identical passage sizes and bleeds that up to .010 less jet is required. I'll get pics of those soon.